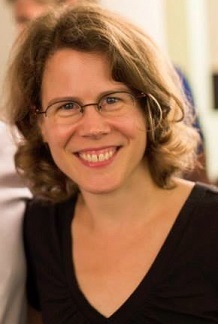 Amy Hungerford is Professor of English and Divisional Director of Humanities at Yale. She specializes in 20th- and 21st-century American literature, especially the period since 1945. Her new monograph, Making Literature Now (Stanford, 2016) is about the social networks that support and shape contemporary literature in both traditional and virtual media. A hybrid work of ethnography, polemic, and traditional literary criticism, the book examines how those networks shape writers’ creative choices and the choices we make about reading. Essays from the project have appeared in ALH and Contemporary Literature. Prof. Hungerford is also the author of The Holocaust of Texts: Genocide, Literature, and Personification (Chicago, 2003) and Postmodern Belief: American Literature and Religion Since 1960 (Princeton, 2010) and serves as the editor of the ninth edition of the Norton Anthology of American Literature, Volume E, “Literature Since 1945” (forthcoming in 2016). Prof. Hungerford’s undergraduate teaching is known worldwide through her popular, and free, online course, “The American Novel Since 1945.” In the graduate program, she teaches regular seminars on 20th and 21st century literature, criticism, and book history, and convenes a dissertation workshop for students studying late-19th to 21st century American, British, and world Anglophone literature. Since 2009, Prof. Hungerford has been teaching at the Bread Loaf School of English at Middlebury College in Vermont in the summertime; Bread Loaf offers a Master of Arts program mainly serving secondary school English teachers. Prof. Hungerford is a founder of Post45 (a professional association for scholars working in post-45 literary and cultural studies), and served on the group’s board from 2006 to 2015. She has helped to organize five Post45 conferences since 2006. She co-founded and remains site editor of post45.org, an open-access journal publishing a curated stream of peer reviewed and general interest work in the field. Working with Prof. Andrew Piper of McGill University, she is collaborating to launch a companion open-access journal called CA: A Journal of Cultural Analytics. CA was founded by Andrew Piper and the CA editorial board to showcase literary scholarship that uses computational methods. It is intended to serve as hub for sharing data and innovations in method as well as particular research findings. Her reviewing and public media work includes review essays on contemporary fiction in the Yale Review and occasional contributions to online forums and radio programs on NPR. - ”GPS Historicism,” REAL: Yearbook of Research in English and American Literature 31 (2015). - ”How Jonathan Safran Foer Made Love,” American Literary History 25.3 (Fall, 2013). - ”McSweeney’s and the School of Life,” Contemporary Literature 53.4 (Winter, 2012). - “Religion and the Twentieth-Century American Novel,” in The Cambridge History of the American Novel, ed. Leonard Caputo, Clare Ebby and Benjamin Reiss (Cambridge University Press, 2010). - ”On the Period Fomerly Known as the Contemporary” American Literary History 20.1-2 (Spring-Summer, 2008). - “Don DeLillo’s Latin Mass,” Contemporary Literature 47.3 (Fall, 2006). - Book reviews of Colson Whitehead’s Sag Harbor, Denis Johnson’s Tree of Smoke, Edward P. Jones’s All Aunt Hagar’s Children, and Margaret Atwood’s The Year of the Flood have appeared in The Yale Review and DoubleX.com. - Radio interview: Invited guest, On Point with Tom Ashbrook, WBUR and NPR, “Remembering J. D.
Literature Now; Four American Writers Since 1940; American Literature Since 1945 (lecture course); Introduction to the Study of American Literature; Holocaust and Literature, 1950 to the Present; Introduction to Literary Study; What Haunts America?